Great Bentley had yet another great weekend of racing, with successes at both Colchester Castle Parkrun and the London Marathon. The Blue Vests hit London en masse for the Marathon, with some 15 runners taking part, many of whom ran their best times despite the heat. The first GBRC man home was 43 year old Dave Goldsmith, clocking a magnificent 3:03:22, a good for age time and a huge PB by 24 minutes. Next came Ben Ficken 29, also running a PB by 11 minutes in 3:07:56. Third man home, running an outstanding marathon debut was Michael Simmons 48, in 3:11:18, another good for age time. 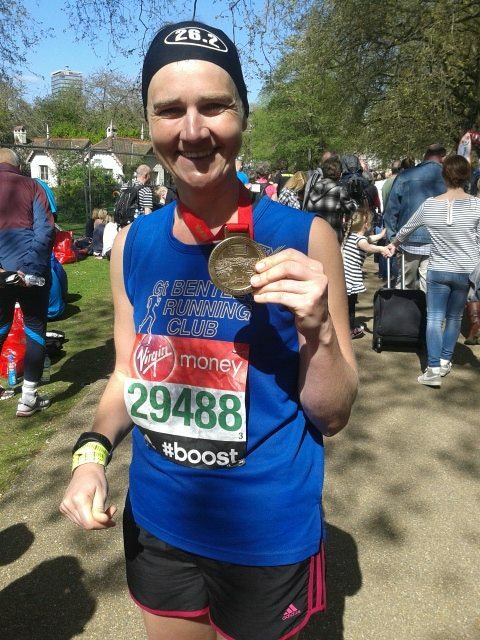 Vicky Presland 39, was the first Bentley woman home in 3:20:52(PB) and good for age. Kevin Stevens 35, was swiftly followed by Steven Black 43, in 3:47:37 and 3:48:15(PB) respectively. Paul Carlisle 55, took 3:54:18, then Anna Lyon 47, 4:03:02. Jamie Neill 39, ran a PB in 4:16:45 and Kate Ellis 38, 4:23:36. Other first time marathon runners were Martin Owen 30, 4:38:40, Gary Hill, 4:51:25, Belinda Palmer-Barnes 53, 5:52:52, Lindsey Willson 5:07:00 and Ruth Metcalfe 43, 6:46:00. The Parkrun on Saturday 12th April saw a new runner take the lead for Bentley. 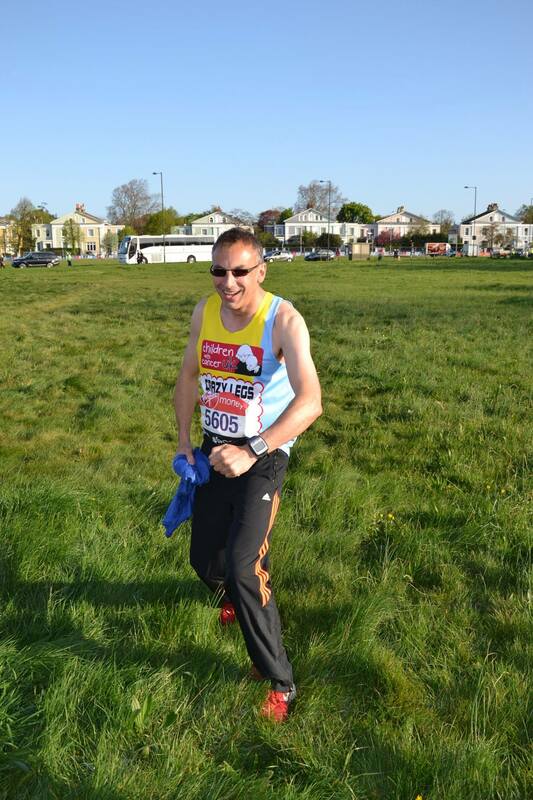 Patrick Reynolds took 12 place in 19:32 (PB), smashing his previous weeks’ time by over a minute. Malcolm Jarvis followed behind with a smaller gain, 24th, 20:51, with Scott Young close on his heels in 21:13( PB) drawing closer to that sub 21 minute time. Then another great PB for Harrison Leek, 26:23 followed by dad Shawn 26:24. Joe Alexander, Alfie Foster and Dan Foster competed for Great Britain in the European Age Group Duathlon in Holland. This even consisted of a 5k run, 20k cycle ride and 2.5k run. Joe came 4th and Alfie 13th in the same age group, and Dan came 11th in his age group.